The storied city of Florence has only ever had one professional soccer club. Having won two Scudetti and six Coppa Italia titles, Fiorentina, is among the better known clubs on the Italian peninsula. A golden era during the 1990s under the ownership of the Cecchi Gori family eventually came to a sputtering halt at the beginning of the new century. After being forced to sell star players Gabriel Batistuta, Rui Costa, Francesco Toldo and others, the club declared bankruptcy in the summer of 2002 and Associazione Calcio Fiorentina officially ceased to exist. Luckily, Andrea and Diego Della Valle created a new club, Florentia Viola, which was allowed an exceptional registration into Serie C2, Italy’s fourth division. Building an entirely new team from scratch is never easy. With a roster including Angelo Di Livio, Alessandro Diamanti and Fabio Quagliarella, Florentia Viola successfully won Group B in Serie C2. In May 2003, the Della Valle ownership group acquired the rights to the brand for €2.5 million, renaming the club ACF Fiorentina. 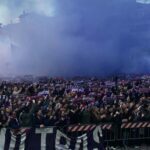 Having reached the promotion playoff, over 40,000 fans were at the Stadio Artemio Franchi to witness Fiorentina clinch qualification to Serie A. In under two years, Fiorentina recovered from bankruptcy and playing in the fourth division to return to Italy’s top division. 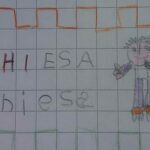 The club gradually regained their stature under coach Cesare Prandelli, finishing fourth in the 2005-06 season, but the club was striped of their Champions League berth as a result of the Calciopoli scandal. Nonetheless, Fiorentina did manage back-to-back fourth place finishes in the 2007-08 and 2008-09 campaigns, earning qualification to the Champions League on both occasions. Fourth-place finishes continued in each of the three seasons under the guidance of new coach Vincenzo Montella. Another common occurrence for the Viola was the departure of key players each summer: Matija Nastasic to Manchester City in 2012, Adem Ljajic to Roma and Stevan Jovetic to Man City in 2013, Juan Cuadrado to Chelsea in 2014, Stefan Savic to Atletico Madrid in 2015, and Marcos Alonso to Chelsea in 2016. Then this past summer not only did the club sell the midfield duo of Borja Valero and Matias Vecino to Inter but also their top attacking talents. Josip Ilicic joined Atalanta while Nikola Kalinic moved to AC Milan. Above all, homegrown starlet Federico Bernardeschi was sold to bitter rivals Juventus. The Della Valle group seemed content to just cash in on big deals, never making serious efforts to keep their star players with improved contracts. Not only were most of these profits merely invested in bargain deals, but two of the three most expensive signings of the Della Valle era, Mario Gomez and Mario Suarez, were complete busts. The passionate Florentine fans were understandably not too pleased with the fact that half of their starting lineup was sold in just the span of a few weeks. Fans congregated outside Borja Valero’s house begging him to not leave the club but they took a more hostile approach to Bernardeschi’s departure. After a miserable 4-1 loss to 19th-place Hellas Verona, fans protested outside the Stadio Artemio Franchi to voice their discontent with the current state of the club. 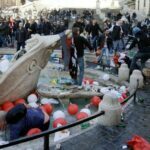 Fans were then barred from bringing flags and banners into the stadium for the next home match, which was against rivals Juventus, for fear that anti-Della Valle sentiments would be on display. After a large squad overhaul and appointment of a new coach, Stefano Pioli, Fiorentina have shown signs of both promise and despair this season. Currently sitting in 9th place on 38 points, the club looks headed for a lackluster mid-table finish. The Della Valle brothers only just attended their first match of the season following the tragic death of club captain, Davide Astori. Presumably, the friction will be put aside for the remainder of the season but the underlying problems will remain.